Safety and security in your workplace is easy, thanks to Elbowroom’s range of high quality metal cupboards. Tidy up and lock up at the same time. 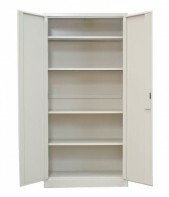 Our EZYstor flat pack cupboard range offers real value for money. Items left on the floor or blocking walkways are more than annoying; they are a safety hazard. Take advantage of a strong and secure cupboard that is ideal for offices, warehouses and any other workplaces. It doesn’t matter what you need to put away – these cupboards have a heavy-duty construction and are composed of sturdy metal components that provide full lock-up security. Whether you have tools, confidential documents or general bric-a-brac, you can store it all conveniently with the EZYstor metal cupboard. 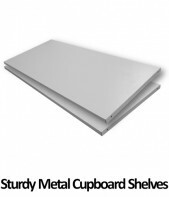 Workplace cupboards are typically subjected to frequent use and the EZYstor cupboard has been designed to withstand the constant wear and tear brought about the rigours of a work environment. Each cupboard sports a high quality powder coated finish that is environmentally friendly and provides maximum durability. Each shelf has a UDL capacity of 50kg. 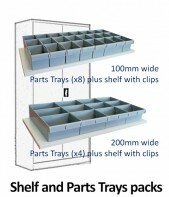 Our range of robust metal cupboards are supplied in flat packs and are do-it-yourself assembly. Easy-to-follow assembly instructions are provided. There are some tools needed to set this product up, so check that you have everything required before you get started. Or for a small fee, you can call us and have one of our friendly installers call out and assemble your cupboard for you – travel or delivery charges will apply in this case. Browse our range today to find quality metal cupboards and accompanying products that will complement your existing warehouse or office storage solutions. You can quickly and easily shop for these and many other storage solutions online through our website. 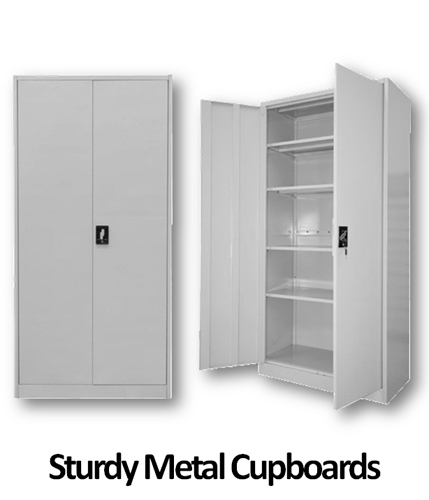 For all enquiries regarding our metal cupboards, please call our friendly team today on 1800 025 627.